GlobeNewswire: O-I ACQUIRES NEARLY 50 PERCENT INTEREST IN EMPRESAS COMEGUA S.A.
Perrysburg, Ohio (Nov. 12, 2018) - Owens-Illinois, Inc. (NYSE: OI) today announced that it has acquired a just over 49.7 percent interest in Empresas Comegua S.A. from Fabricación de Máquinas, S.A. de C.V., a wholly owned subsidiary of Vitro, S.A.B. de C.V. (BMV: VITROA). Empresas Comegua S.A. is the leading manufacturer of glass containers for the Central American and Caribbean markets. The business serves many of O-I's global strategic customers and various segments including food, soft drinks, beer, spirits and pharmaceuticals. Operations include two glass manufacturing facilities - one in Costa Rica and another in Guatemala. 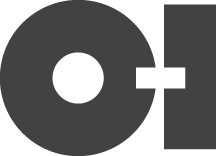 According to Andres Lopez, O-I's chief executive officer: "The Comegua transaction builds off the acquisition of O-I Mexico in 2015 and complements our existing footprint across the Americas which now extends from Canada to Argentina. With this move, O-I is expanding into new and growing glass markets in Central America and extending its market presence in the Caribbean." The purchase price of $119 million is adjusted for net debt and is based on an enterprise value of just under 6x FY18E EBITDA prior to any synergies. The transaction is expected to be accretive to earnings and cash flow in the first year. and changes in tax rates and laws, (4) the Company's ability to generate sufficient future cash flows to ensure the Company's goodwill is not impaired, (5) consumer preferences for alternative forms of packaging, (6) cost and availability of raw materials, labor, energy and transportation, (7) the Company's ability to manage its cost structure, including its success in implementing restructuring plans and achieving cost savings, (8) consolidation among competitors and customers, (9) the Company's ability to acquire businesses and expand plants, integrate operations of acquired businesses and achieve expected synergies, (10) unanticipated expenditures with respect to environmental, safety and health laws, (11) unanticipated operational disruptions, including higher capital spending, (12) the Company's ability to further develop its sales, marketing and product development capabilities, (13) the failure of the Company's joint venture partners to meet their obligations or commit additional capital to the joint venture, (14) the Company's ability to prevent and detect cybersecurity threats against its information technology systems, (15) the Company's ability to accurately estimate its total asbestos-related liability or to control the timing and occurrence of events related to outstanding asbestos-related claims, including but not limited to settlements of those claims, (16) changes in U.S. trade policies, (17) the Company's ability to achieve its strategic plan, and the other risk factors discussed in the Annual Report on Form 10-K for the year ended December 31, 2017 and the Company's other filings with the Securities and Exchange Commission. It is not possible to foresee or identify all such factors. Any forward-looking statements in this document are based on certain assumptions and analyses made by the Company in light of its experience and perception of historical trends, current conditions, expected future developments, and other factors it believes are appropriate in the circumstances. Forward-looking statements are not a guarantee of future performance and actual results or developments may differ materially from expectations. While the Company continually reviews trends and uncertainties affecting the Company's results of operations and financial condition, the Company does not assume any obligation to update or supplement any particular forward-looking statements contained in this document.